Heading out to facilitate a half-day GFFC session for a local college. We will be using the in-class paper-based self-assessment to score the areas below and reflect on personal application. It is a great foundational coaching workshop that builds off of seven coaching competencies. Lets take a closer look at Building Rapport. Can you coach without it? I’d say no. It would not be coaching, more like telling and directing. Coachees need to be engaged in the coaching process. No rapport, no engagement. Keys to building rapport are adapting your communication, adapting your behavioral style, and being approachable. The last one makes me smirk a bit. I have coached a lot of leaders who feel they are approachable, but when we gather some honest feedback from others and analyze their styles a bit, not so much the case. The good news is that we all can work on being more approachable. Adapting isn’t complicated, but it is challenging. 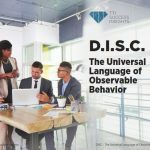 A great tool to use to better understand your communication/behavioral style and others’ styles is DISC. 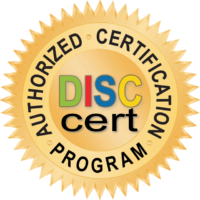 Not familiar, request a free DISC assessment to check it out. We’ll build a coaching action plan and practice these skills in our workshop session, but I encourage you to select any one of these areas to focus on during the next week with a team member or two and see if you can improve your rapport level. It will be critical to your coaching success moving forward. I will hit on the other six areas with some tips over the next few weeks. If you are not on our email list, join here. I would love to stay in touch through our 2-min Drill blog/vlog as well as additional free resources to support personal, professional and leadership development.